An investigation by Data Protection Commissioner Helen Dixon into the Public Services Card project has been extended, the Oireachtas Committee on Employment Affairs and Social Protection has been told. Ms Dixon's office made the decision to examine the process by the Department of Employment Affairs and Social Protection at the end of 2017, including the legal basis for processing data in connection with the Public Services Card. The Data Protection Commissioner is also looking at the appropriate technological and organisational measures employed by the department regarding security and personal data processing operations. Included in the examination is the transparency of information provided to customers over the processing of personal data, the Public Services Card, the single customer view and MyGov Identification. MyGovID is a secure online identity verification service for bodies providing public services online. Assistant Secretary of the Department of Social Protection Tim Duggan told the Oireachtas Committee that Ms Dixon is hoping to conclude the initial phase of the audit next month and the second phase will take place in May or June. Mr Duggan was asked by committee members why the investigation is taking longer than originally anticipated. He said his department furnished the Office of the Data Protection Commissioner with answers to queries she made in early December and described those replies as "comprehensive and detailed". Mr Duggan said he assumed that the timeline had been extended due to the amount of information furnished to Data Protection Office. Earlier, Mr Duggan said just over 2.5 million people have been issued with the Public Service Card, which he said equates to three quarters of the adult population. He said production of the cards has cost €55.7 million, which includes the cards, staff costs and miscellaneous costs. 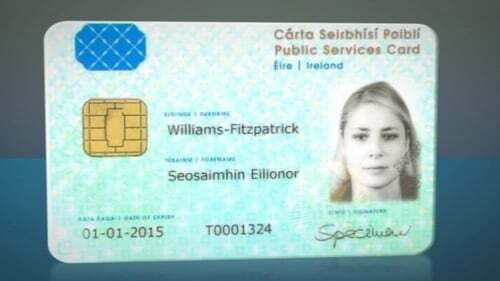 The Public Services Card was introduced by the Department of Social Protection in 2012 to allow for easier access to public services. However, concerns have been raised about the card and whether it is now deemed compulsory for a range of services and about the storing of biometric data on the card.